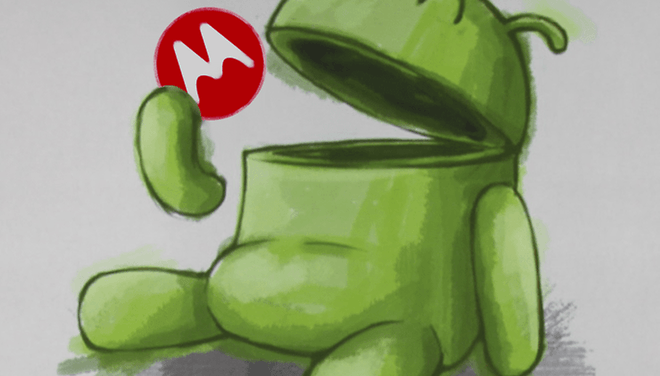 Motorola Is Now Officially Owned By Google...Now What? After months of review by regulators in the US, Europe, and Asia, Google’s purchase of Motorola Mobility has finally been approved and officially completed. Google, the world's most popular search engine and owner of the world's most popular mobile operating system now officially owns one of the hardware pioneers of the mobile industry. The question is, what happens now? “Google, a software company that has global marketshare for smartphones, now has their own hardware company! This is brilliant!”. Unfortunately, it’s not that simple, and for a number of reasons. While it might make sense to use your own hardware company to optimize your own mobile software, Google must tread very carefully now. Samsung, the biggest Android manufacturer also depends on Android (for now) for their mobile devices. HTC, Sony, and LG do as well, and those are just the tier 1 companies that currently release devices regularly. Acer, Asus, Intel, Huawei, and lots of other companies also use/will use Android for their smartphones, and the last thing they want is for Google to play favorites when it comes to Android. If that were to happen, Samsung for example (who sell hands down more Android devices than all other manufacturers) might just say “***k you Google” and develop their own mobile operating system. After all, they have the mass majority of Android phone buyers in their left pocket, and market aggressively enough to carry over a big portion of Galaxy series owners if they had too. What’s to stop HTC or LG from doing the same? Google does have options though, and their latest move in changing their Android strategy by pushing out multiple Nexus devices is a great first step. Basically, if Google does decide to have a flagship Nexus device for Sammy, Moto, HTC, LG, and Sony, and if they would all be sold directly through the Google Play Store worldwide, not only is it good for Google, but good for OEMs. This way, they all have a Nexus device running stock Android, which makes updating their other devices easier and provides consumers with more choice. Because of that, Google could certainly use Motorola to finally develop a Nexus phone with software optimized for their own hardware, as they aren’t playing favorites with their source code if everyone receives it at the same time (why do I have a feeling it won't be that simple?). For me, this represents a huge chance for the next evolutionary phase of Android, as they are now for the first time on a level playing field with Apple in terms of development. That being said, Google will have to play it safe for a while to keep OEMs calm, so I wouldn’t expect anything too major coming directly from Motorola in 2012. Lots of people disagree with me on this, but I strongly believe that patents wasn’t the only reason Google spent 12.5 billion on this company. Of COURSE they're going to use them. Google not using a mobile hardware manufacturer for Android is like McDonalds buying a 12.5 billion dollar tomato farm, but then still depending on everyone else to send tomatoes to put on their Big Macs. Doesn’t make much sense does it? If all OEMs do indeed get a Nexus phone this year, my money is on the Motorola Nexus device. Whether the public will see it that way is yet to be seen. What do you guys think? Will Google use Moto to their full potential, or will they act like they didn’t just spend 12.5 billion dollars on a hardware company? I think Google is going to be very cautious when it comes to using Motorola. They know Samsung is their most important client and they won't do anything rash to alienate them. I have that feeling as well. Thats why Tizen (their OS that looks a lot like Android) is kinda scary.